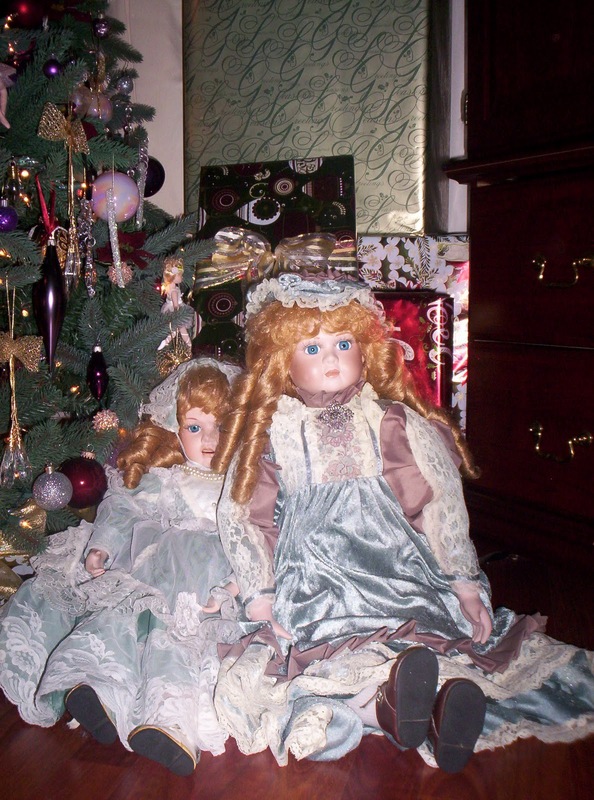 My Cottage Charm: Christmas Decor around the House and Treasures and Trinkets Thursday! 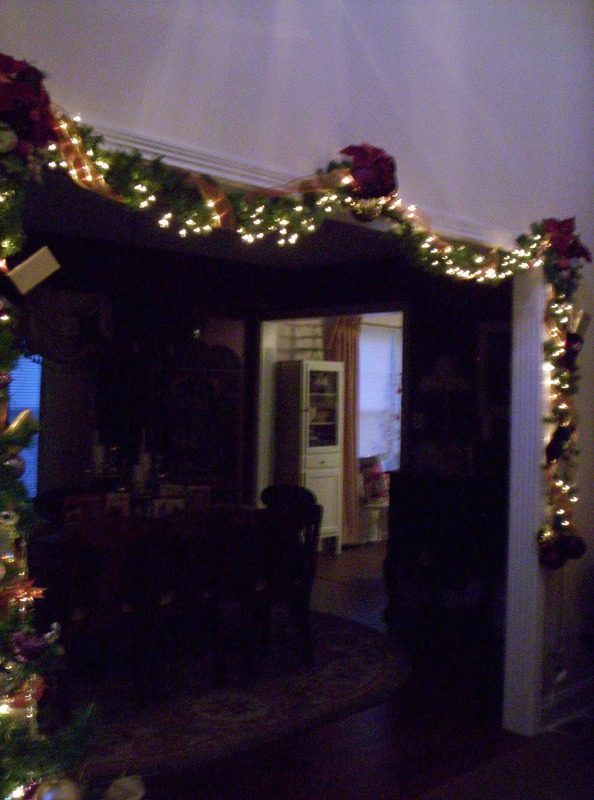 Christmas Decor around the House and Treasures and Trinkets Thursday! Here it is all lit up! I put him under my cloche in my dining room! Aren't these the most precious little owls!! I got these at our church ornament exchange party. for my shelf in the foyer. and the tree was from TJ Maxx last year..
You can find out how I made it here. I absolutely love the indented vintage ornaments!! it's time for Treasures and Trinkets Thursdays. Merry Christmas Missy! Your house is absolutely gorgeous! Have a wonderful Holiday! Your staircase looks amazing! So festive:) I love the little greenhouse with the Christmas balls inside:) Lovely!!! Your Christmas decor looks really nice Missy. Wishing you a Merry Christmas. Your stairway is so gorgeous! I love the snowman under glass too. 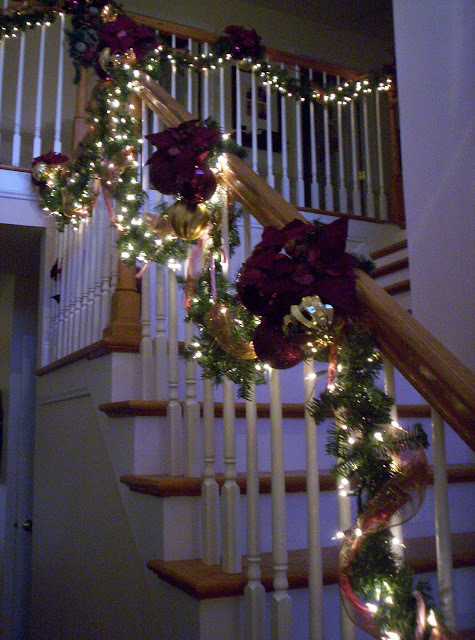 Beautiful Christmas decor, Missy~ I just love your wonderful stairwell and garlands...magical lighting! Love the twinkly fruit, it looks all sugary. Your decorations are beautiful. It looks like a winter wonderland! So beautiful. The only thing missing is your little Christmas angel! I love the ornaments AND the snowman! Ohhh how I wish I enjoyed decorating for the holidays like you do. I think it's the empty nest thing.